A former Brick Township assistant schools superintendent and longtime Jackson superintendent is starting work Friday as interim township superintendent. 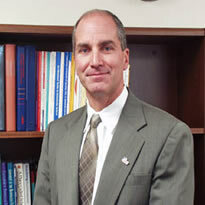 Caldes, a former principal at Brick Memorial High School, had been serving as Educational Specialist just before beginning to serve as interim superintendent on May 8, after Superintendent Walter Uszenski was charged in a criminal matter involving educational services allegedly provided to his grandchild. Uszenski has been indicted, but because his case has not yet been resolved, the board cannot yet appoint a permanent replacement for him, said district Business Administrator James Edwards after the meeting. Gialanella had served as interim superintendent in the Toms River Regional School District after its former superintendent, Michael Ritacco, was criminally charged, said Board President John Lamela after the meeting. Lamela said that experience, along with Gialanella’s overall experience working in Brick, Jackson and other districts, weighed heavily in the board ultimately selecting him. The original agenda, as posted on the township school district website, did not include amending the agenda for the motions for the two key personnel changes. Stephanie Wohlrab, one of four new board members, made the motion last night to amend the agenda and also to make the two personnel changes. When Victor Fanelli, a Meadowpoint Drive resident, later asked why the items were not on the agenda, Lamela said they should have been and that from now on the board members will have a deadline to submit agenda items more in advance of the meeting. After the meeting, Wohlrab said she agrees with that and will be working, along with the other board members, to prepare a more complete and updated agenda in advance of the meeting. She said the agenda items were not posted in advance simply because it took her and some other board members time to prepare for those matters after the last board meeting on Jan. 14. Lamela, George White and Victoria Pakala are also new members. Board Member Karyn F. Cusanelli was among the few who abstained from both votes, saying she had not known the agenda items would be added last night. “I haven’t had time to do my due diligence,” she said. Sharon Cantillo and John Barton also abstained from both votes. Part of the second board vote, in addition to appointing Gialanella, was to terminate Caldes’s contract for the interim superintendent position. Caldes is paid $151,470 as Educational Specialist and was paid $177,500 per year as interim superintendent, Edwards said. Gialanella will be paid $682 per day to serve as interim superintendent and his contract will run through June 30, unless the board decides to appoint a replacement, Edwards said. Board members and a few audience members lauded praise on Caldes for his work as interim superintendent and also welcomed back Gialanella, who previous served as an assistant superintendent in Brick, as he was sitting in the audience during the meeting and spoke with Caldes afterwards. The next board meeting is 7 p.m. Feb. 25 at Brick Township High School.